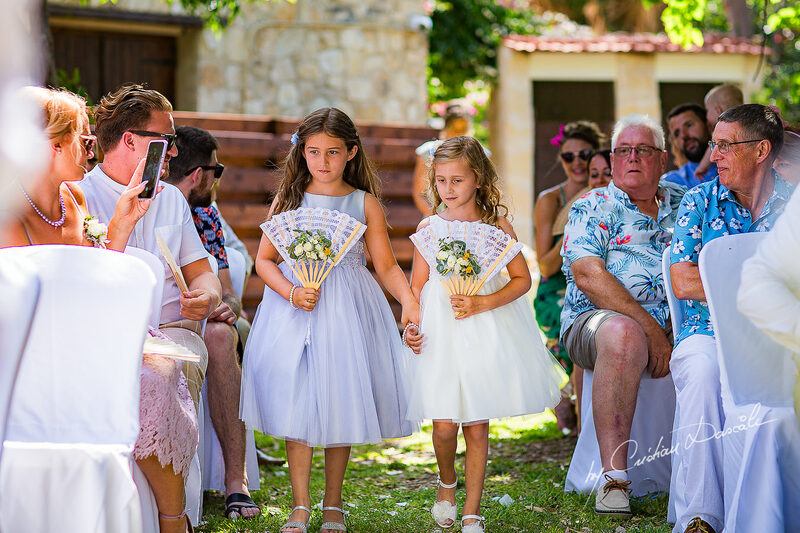 Over my career of shooting relaxed wedding photography in Paphos, I’ve encountered many stunning venues—luxurious man-made constructions replete with pools, restaurants, and every convenience a couple could desire. 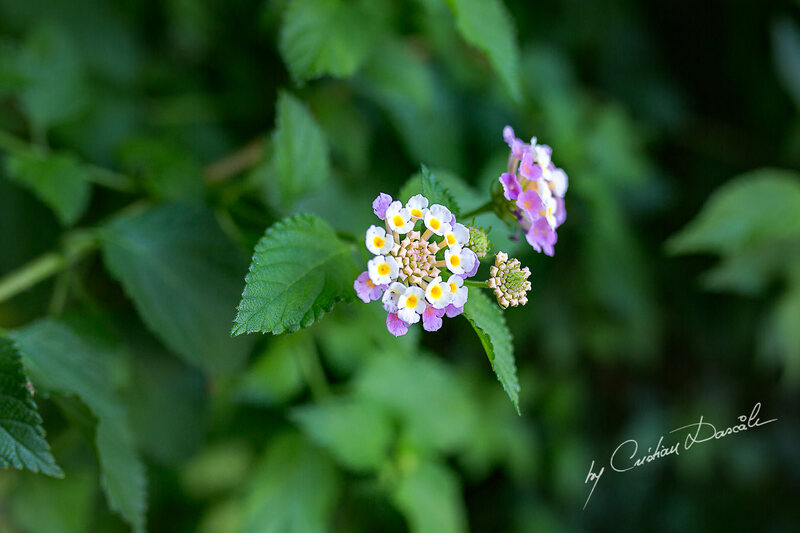 While I’ve often been awed by the grandeur of these places, sometimes it takes getting back to basics to truly appreciate the beauty that is all around us… To remember that we don’t need opulence or fanfare to invoke our sense of wonder; it can be found under our feet and above our heads any time we enter a natural space. 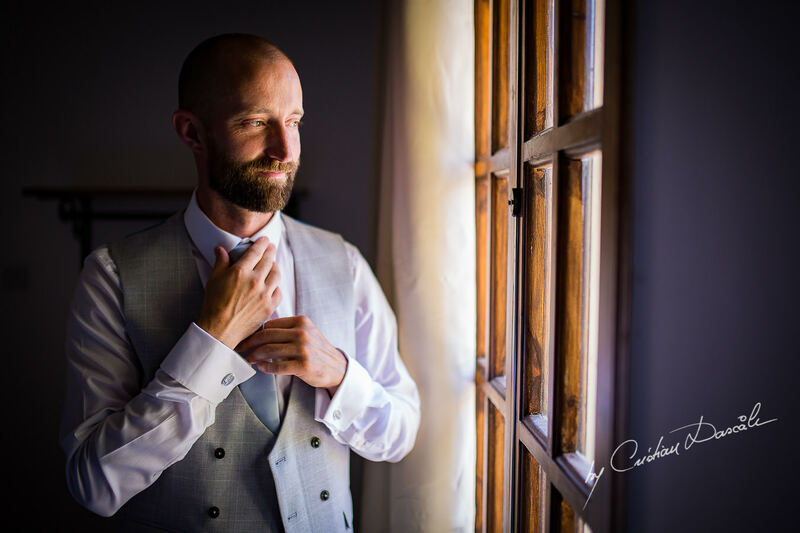 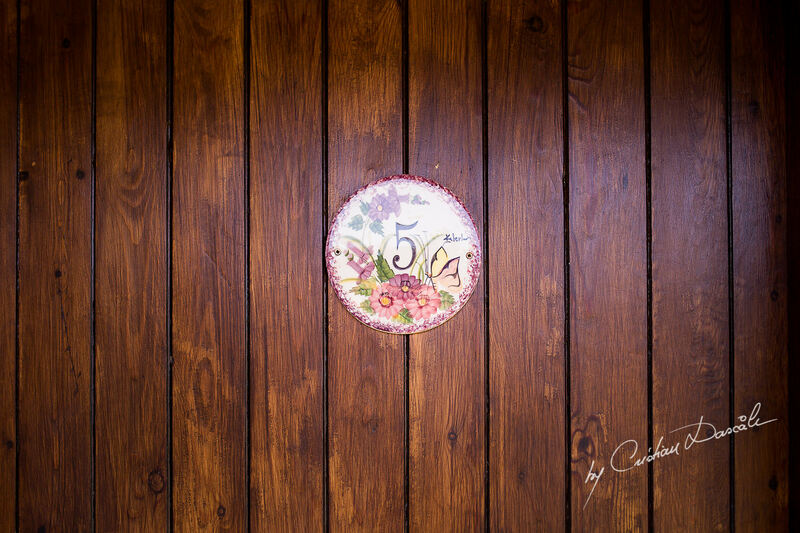 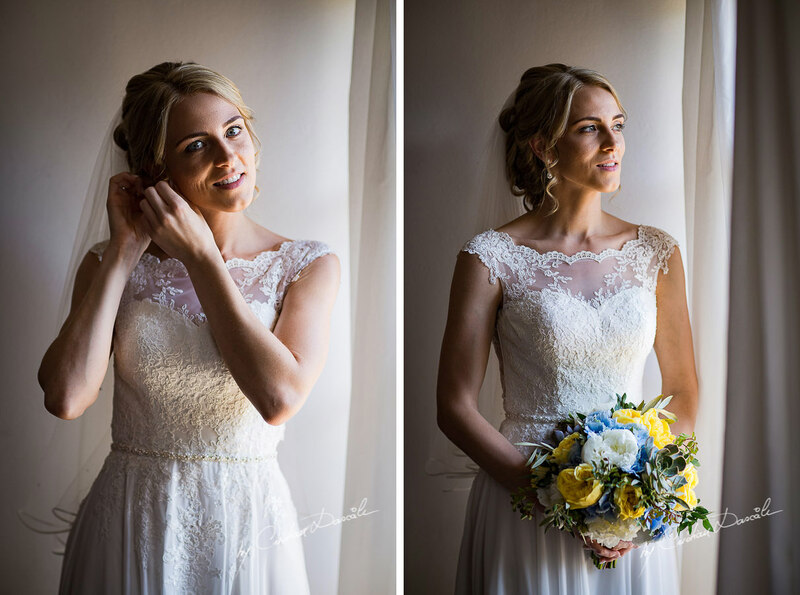 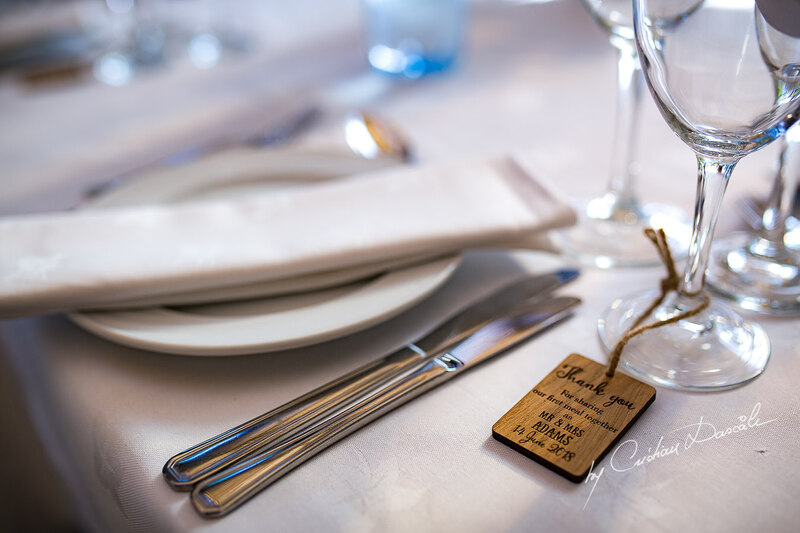 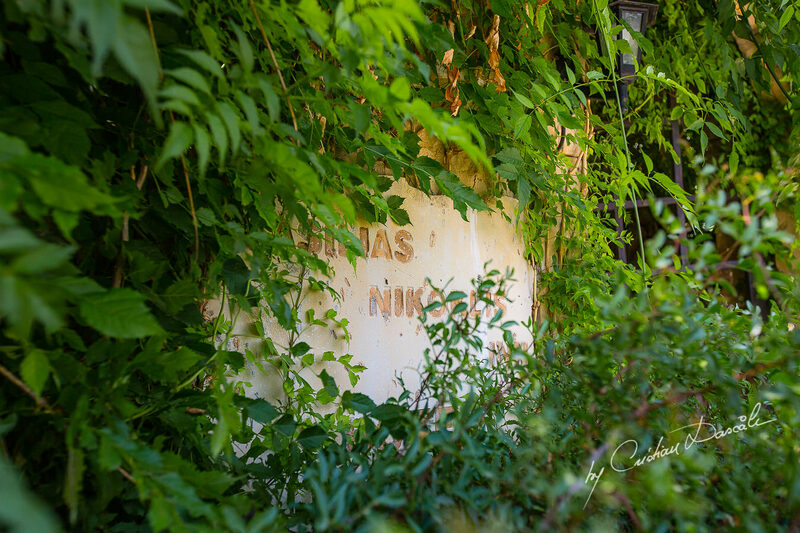 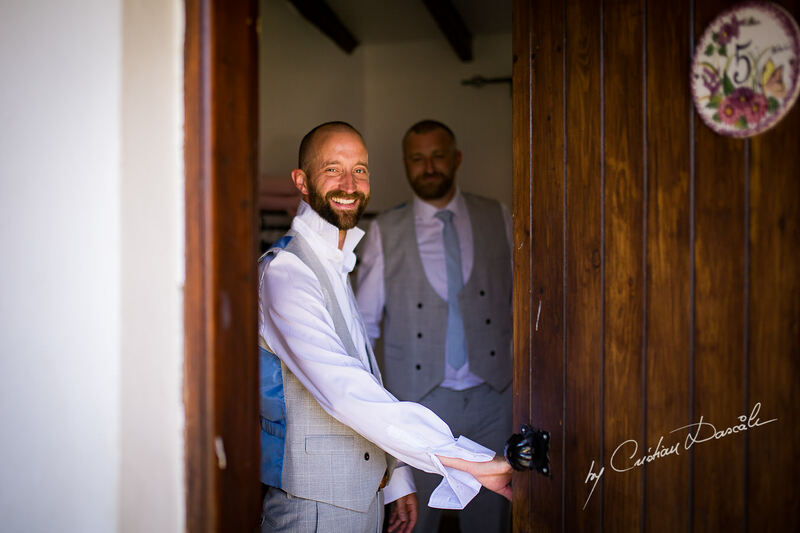 This is one of the many reasons why the Vasilias Nikoklis Inn stole my heart when I first visited it to shoot Sarah and Matt’s Vasilias Nikoklis Inn Wedding photography: This quaint historic building works with its stunning natural surroundings, rather than overpowering them. 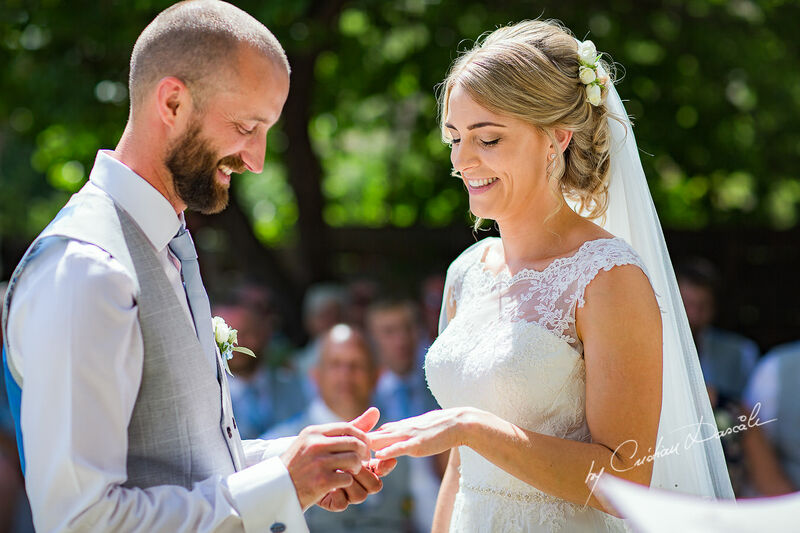 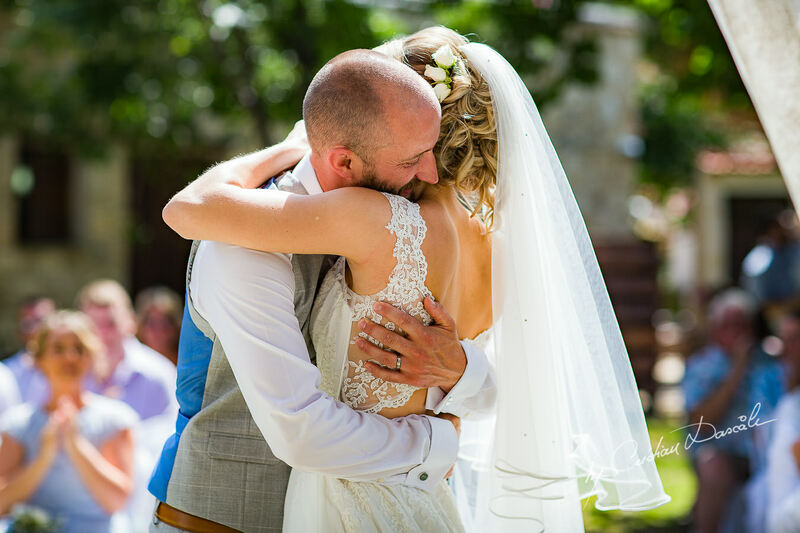 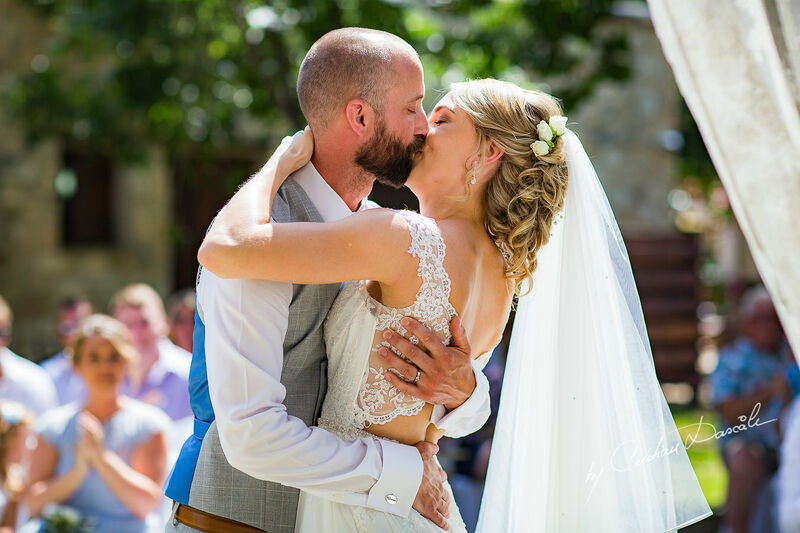 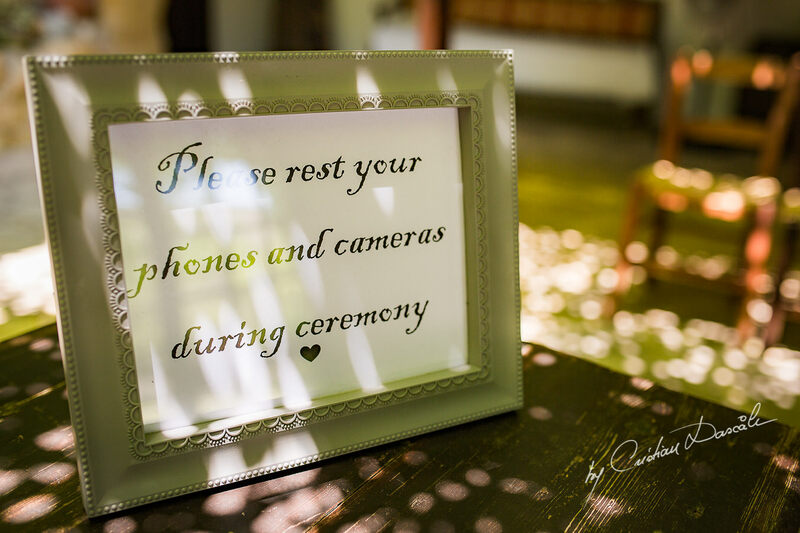 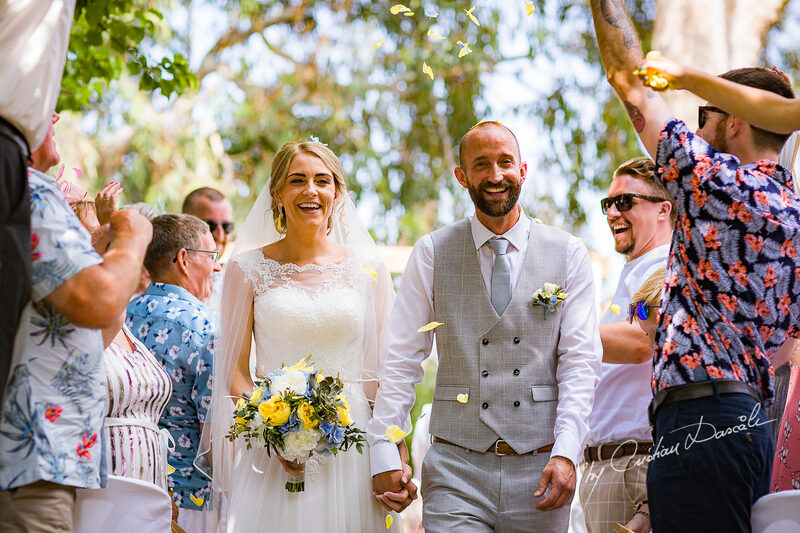 Here, couples like Natalie and Joe—the beautiful bride and groom in these pictures—can find privacy within vine-covered stone walls as they speak their heart-felt vows. 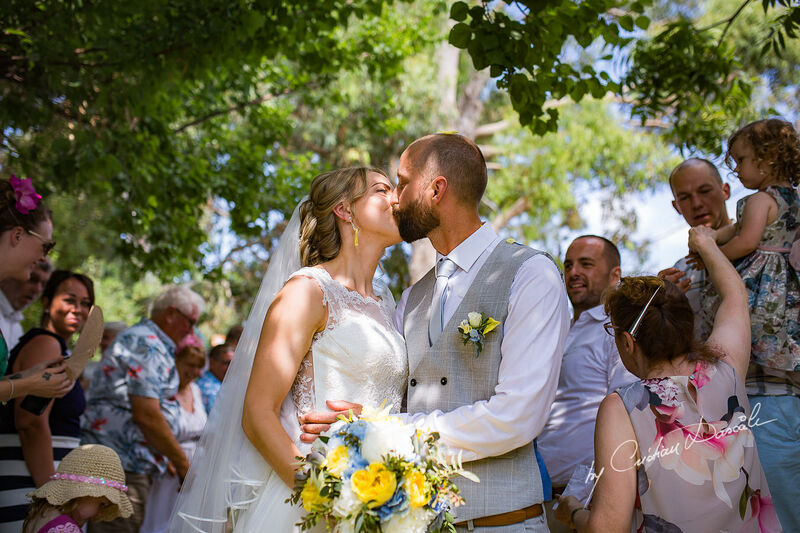 They can breathe in the refreshing scent of eucalyptus as it dances on the cool mountain air, stilling any pre-wedding jitters they have. 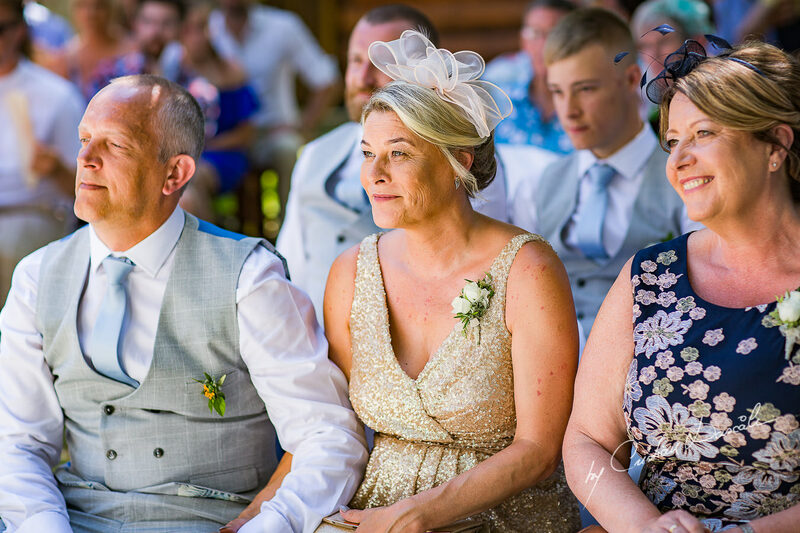 In these moments of peace and harmony, couples can leave the burdens of their old life behind and start a fresh, new chapter together. 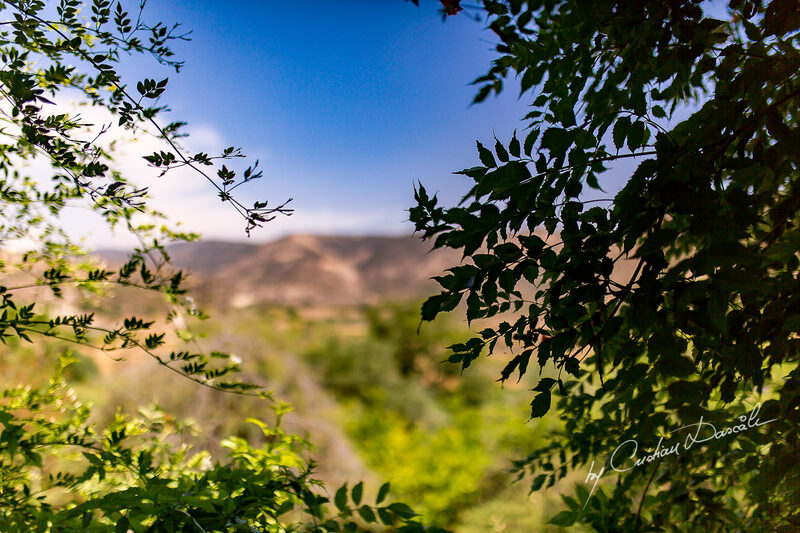 Now more than ever, we need the calmness and clarity that only nature can provide. 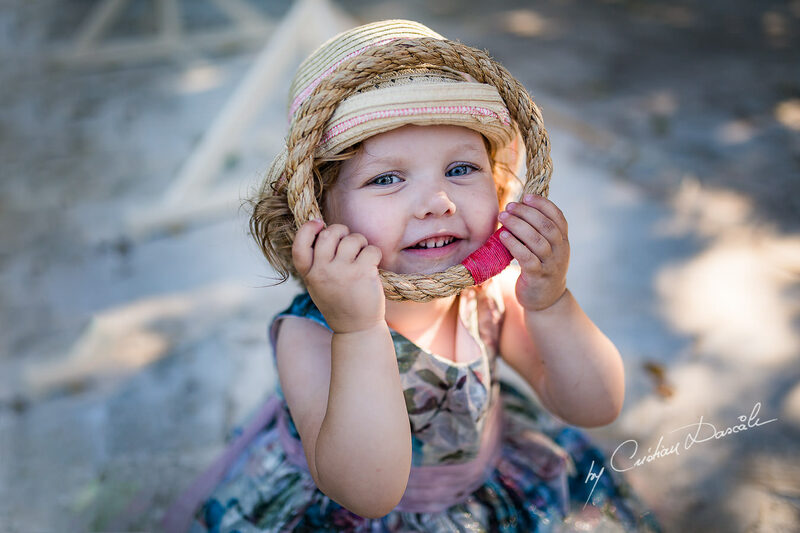 We need to tap into our inner child, the part of us that delights in the smallest things, from tiny blossoms hidden in the grass to the hum of a bee’s wings. 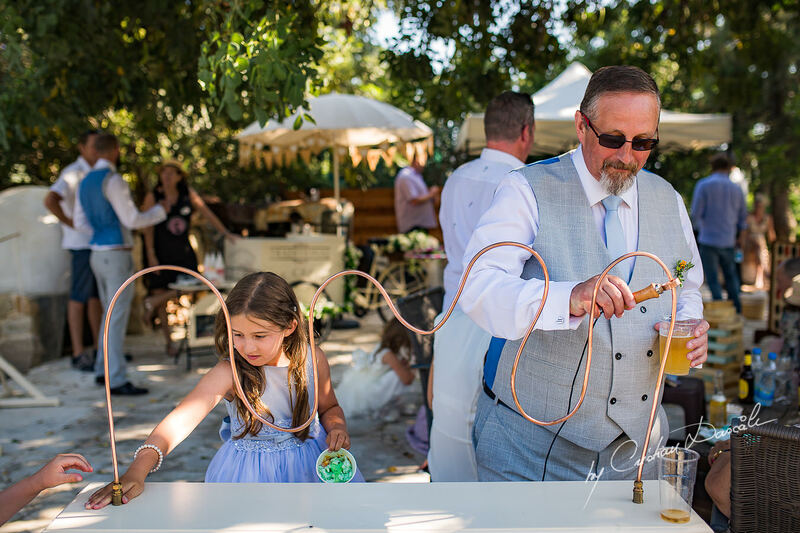 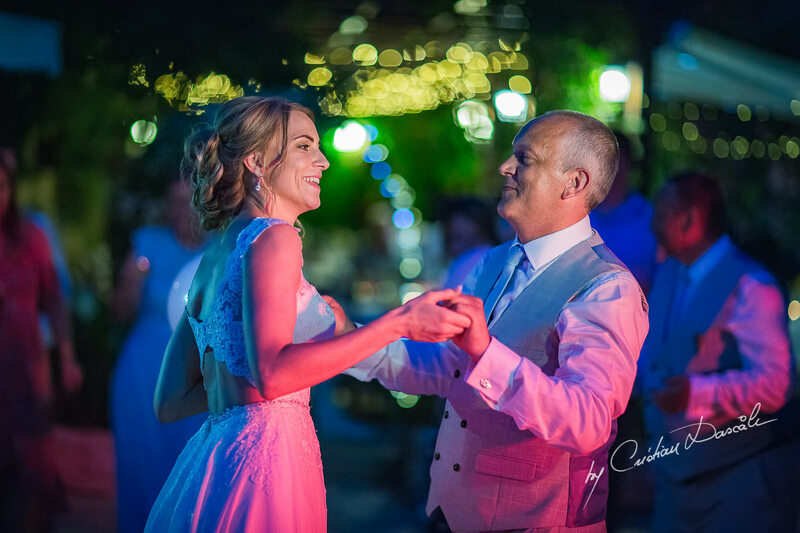 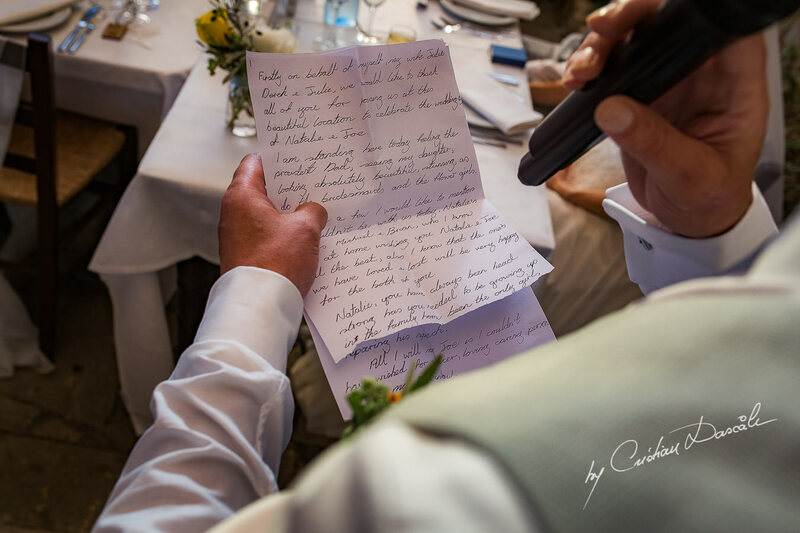 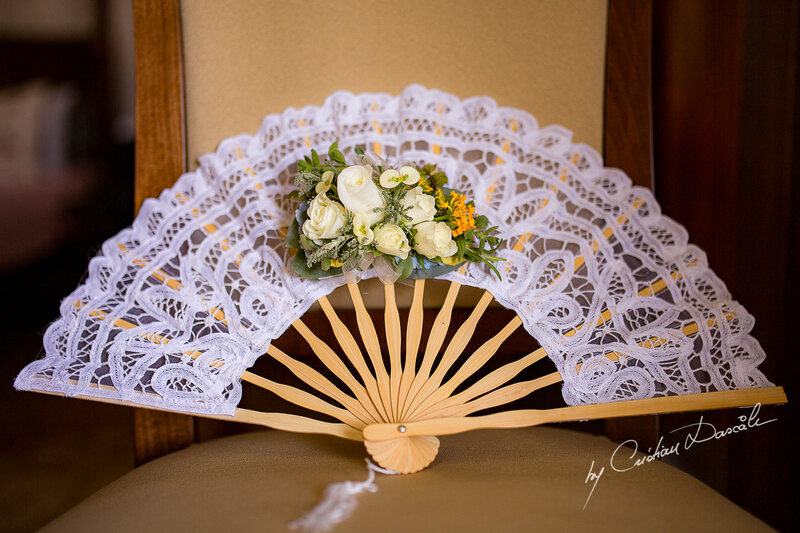 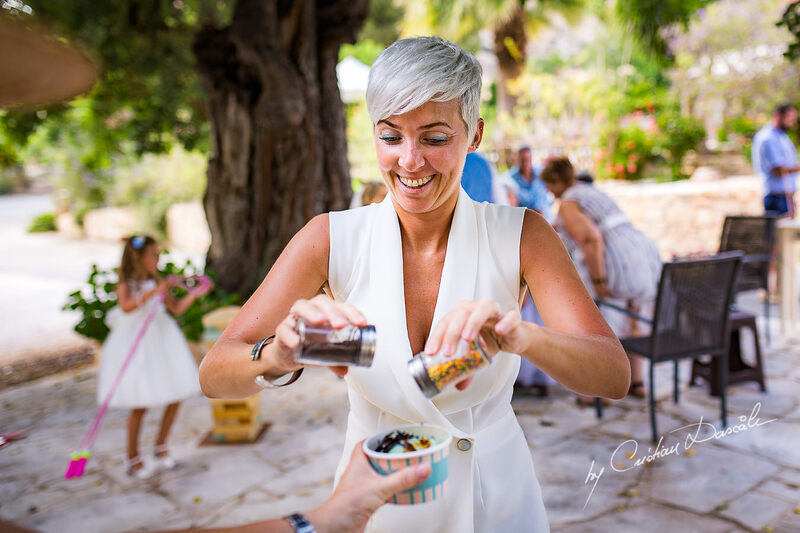 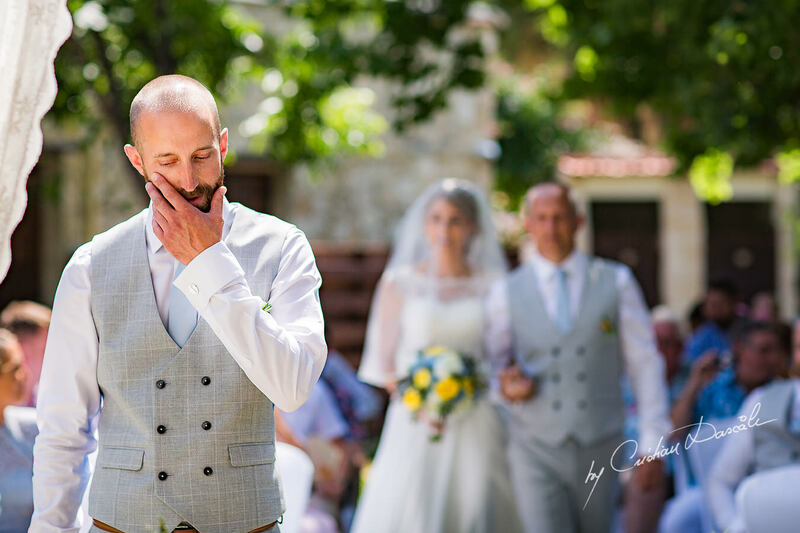 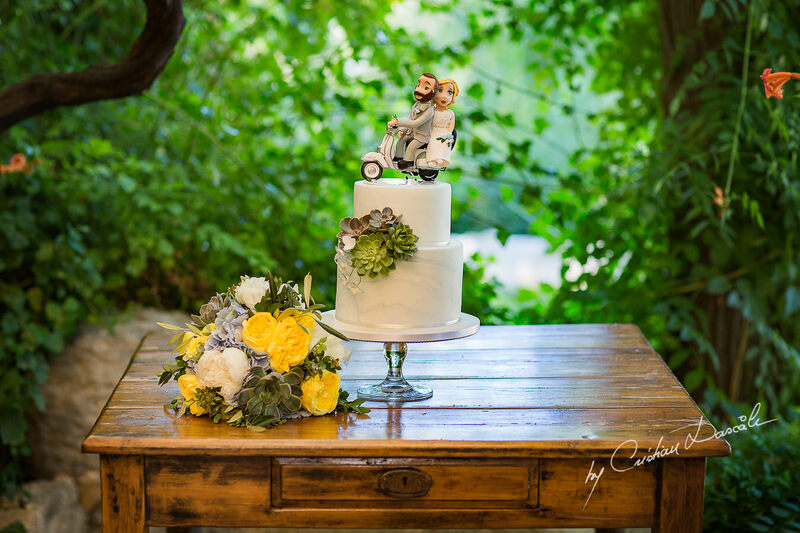 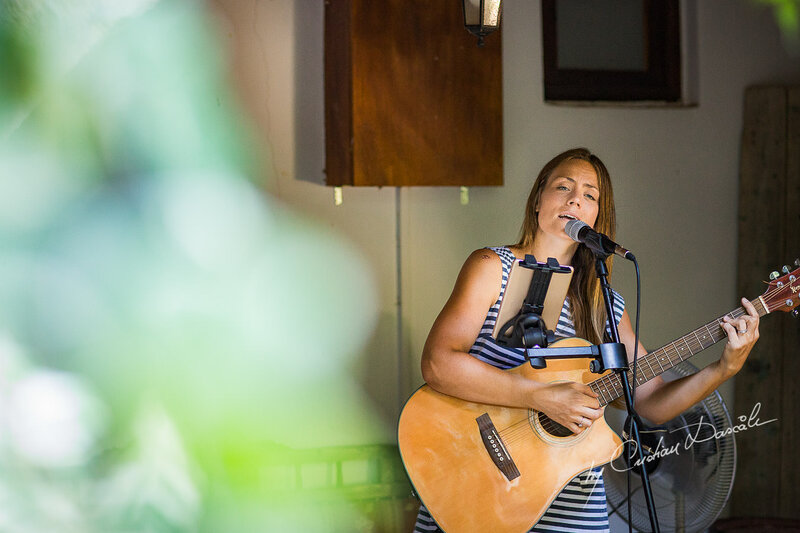 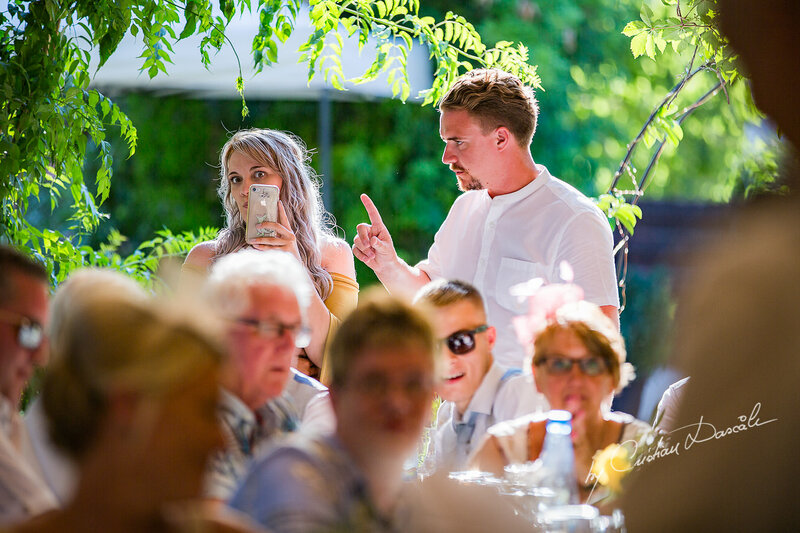 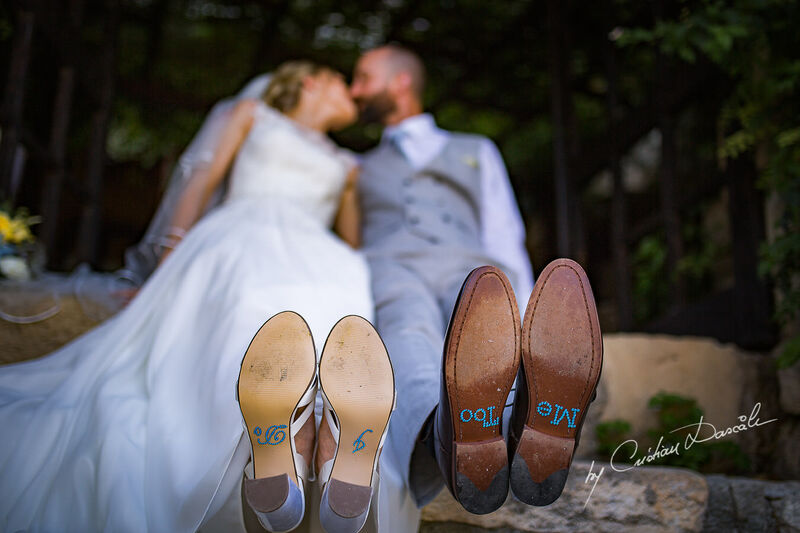 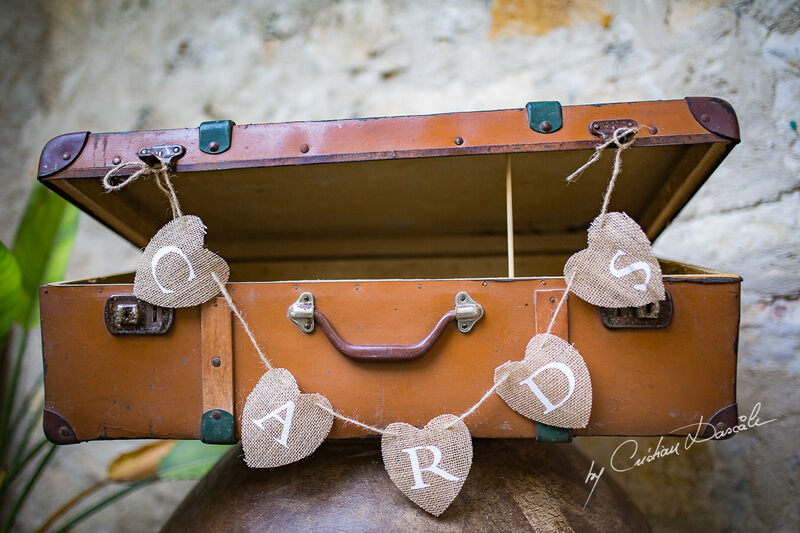 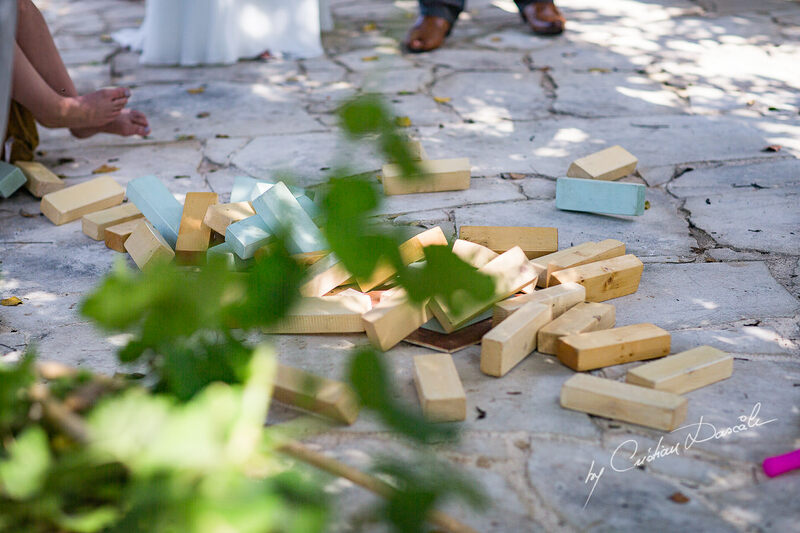 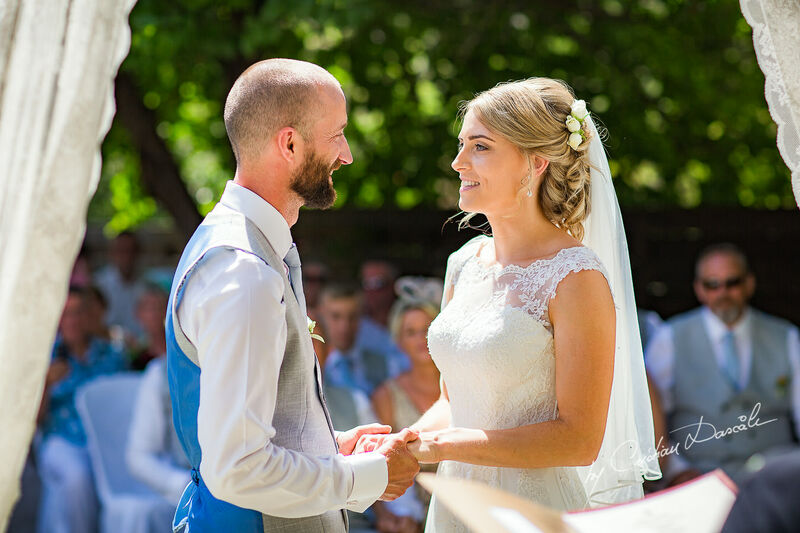 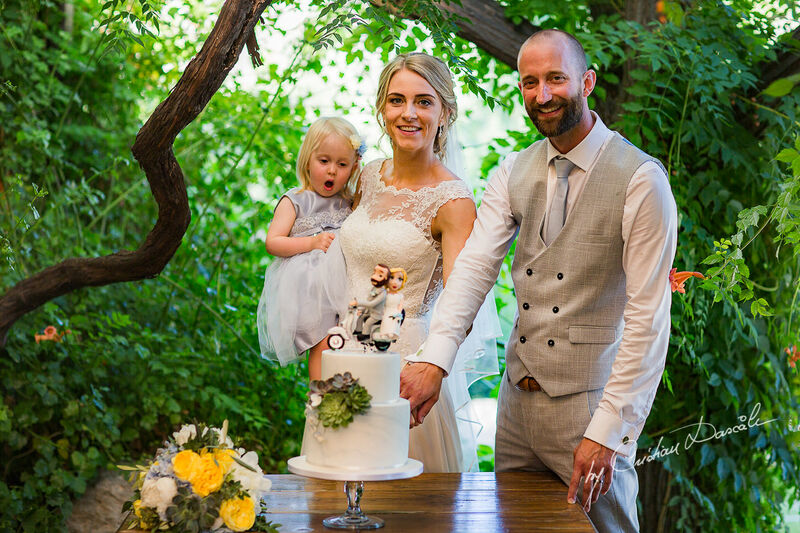 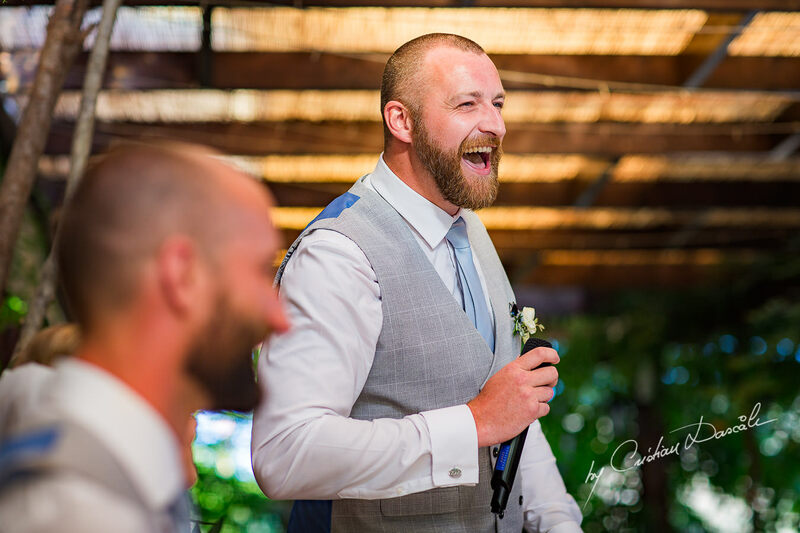 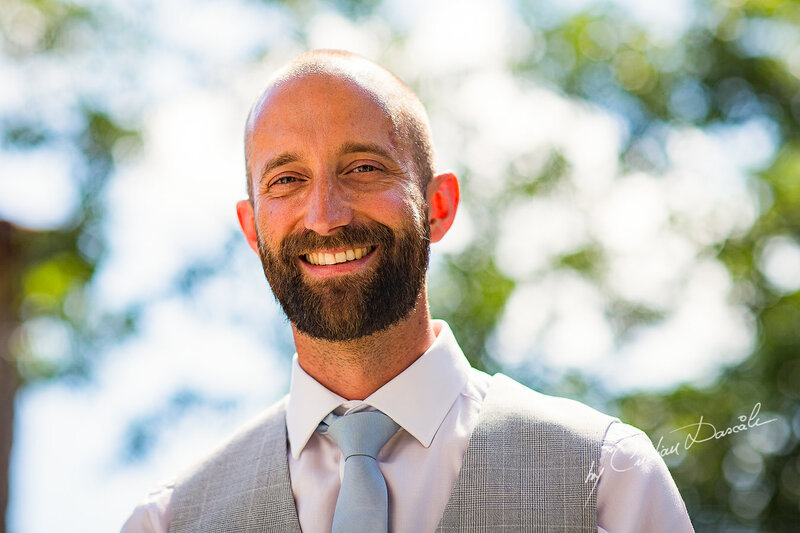 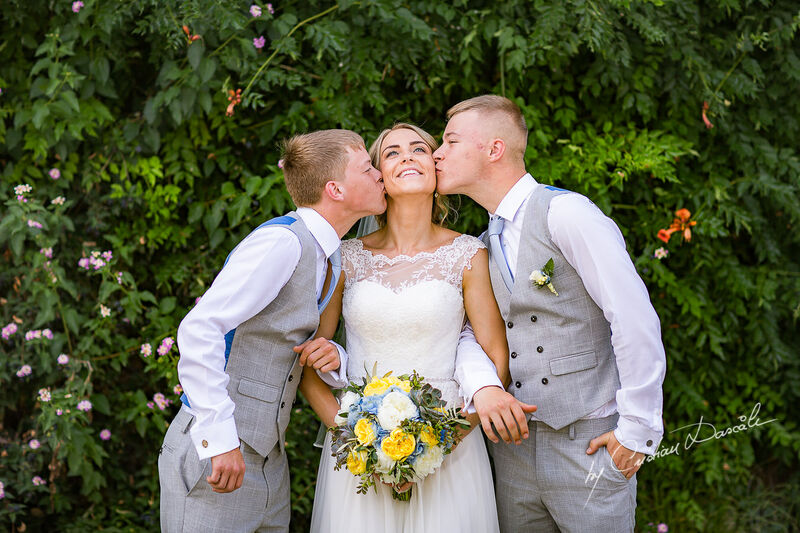 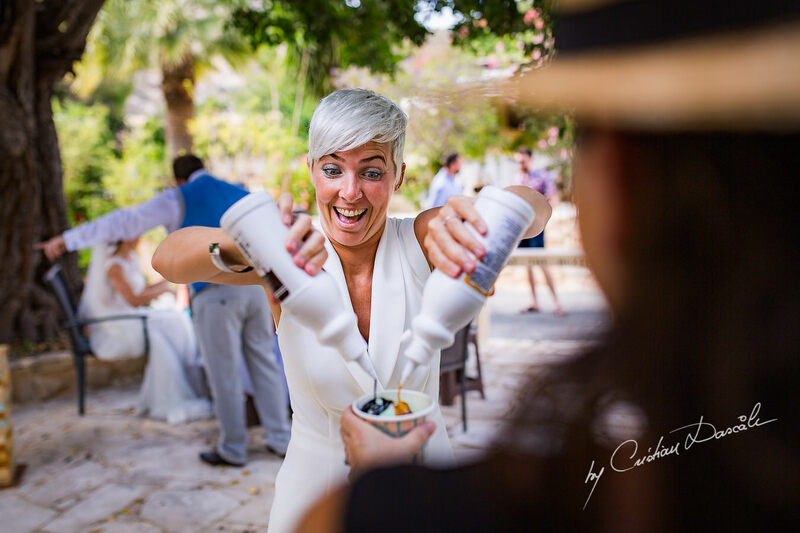 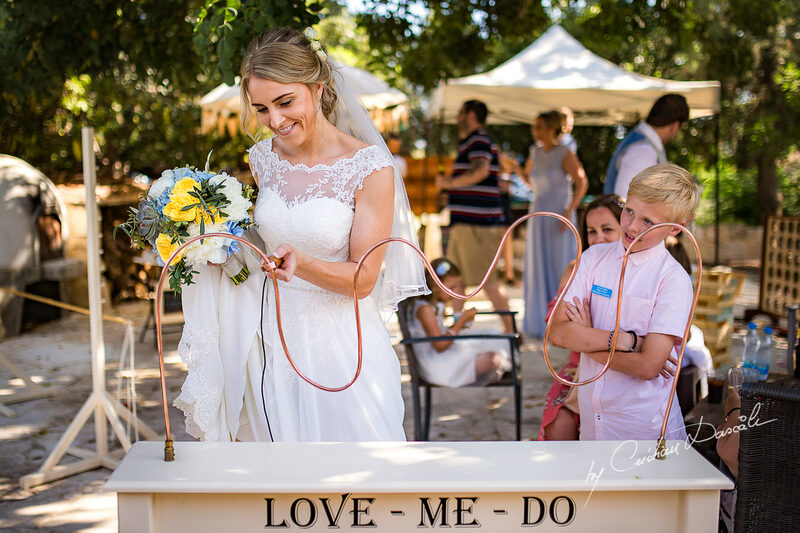 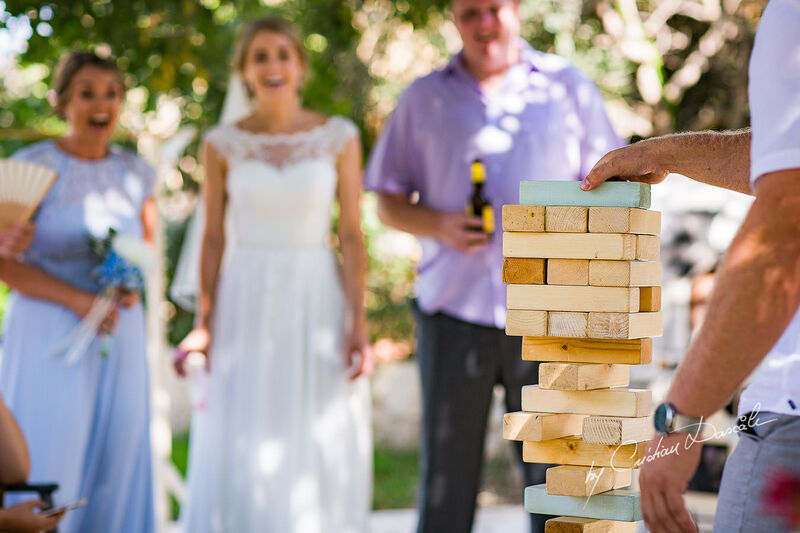 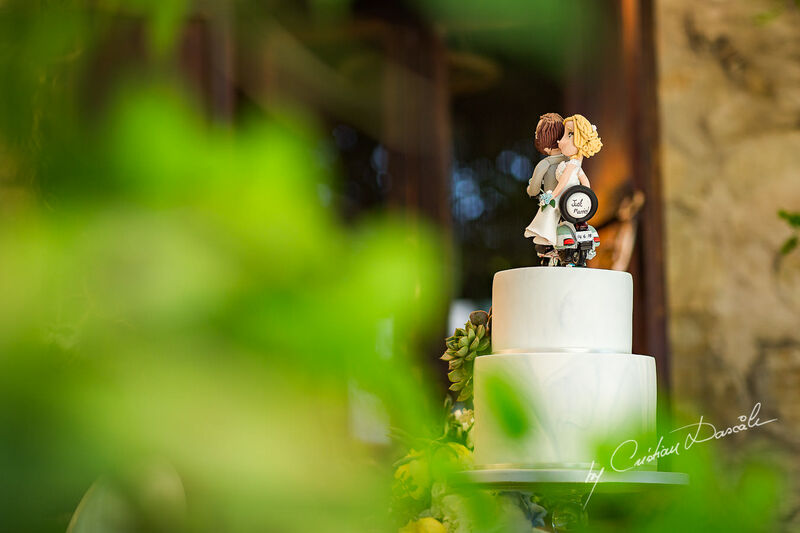 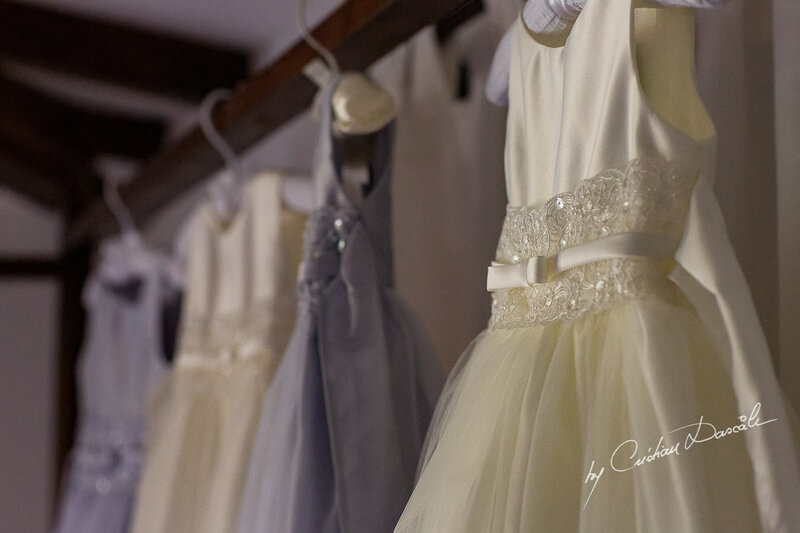 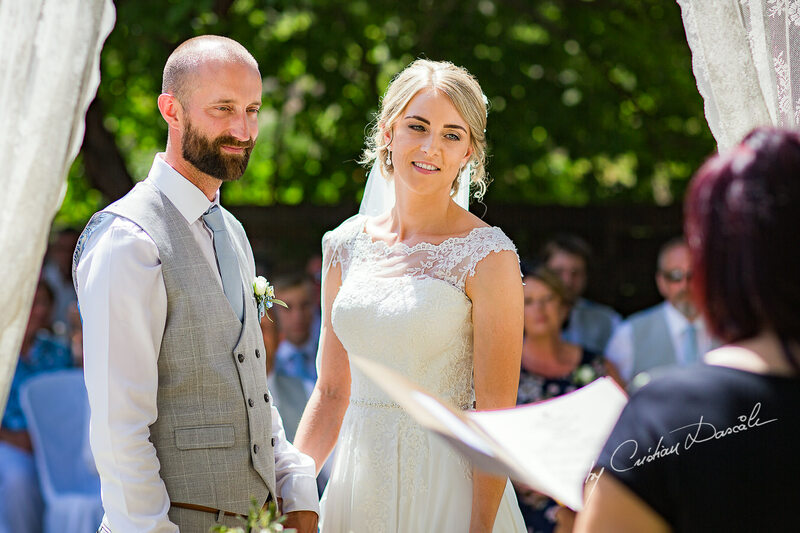 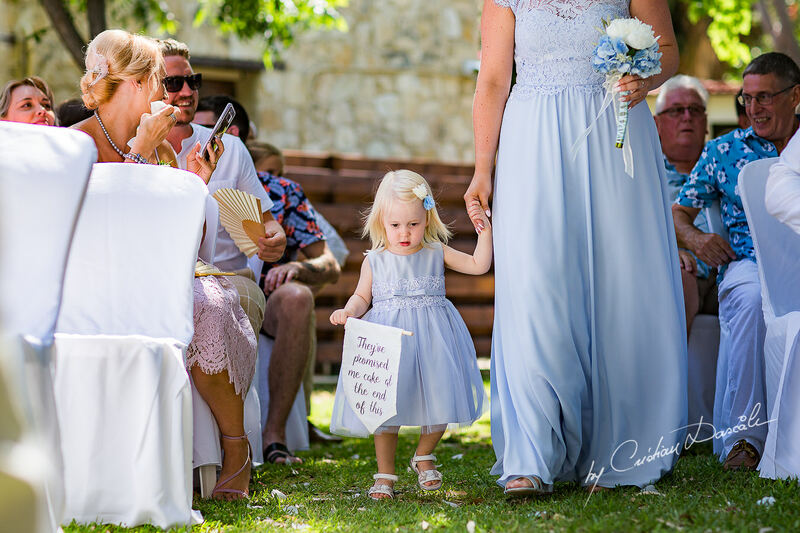 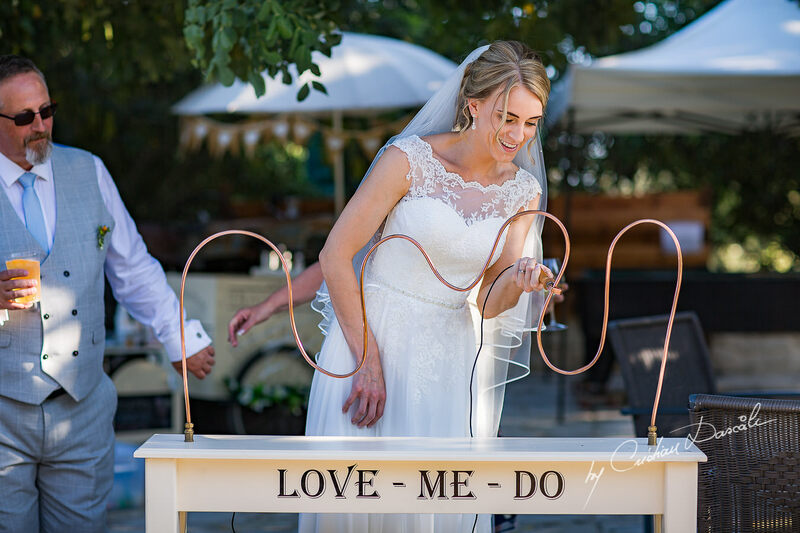 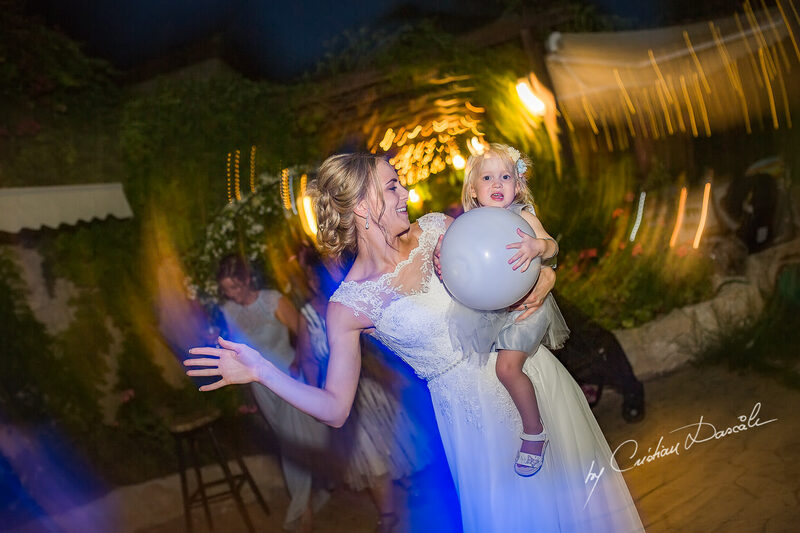 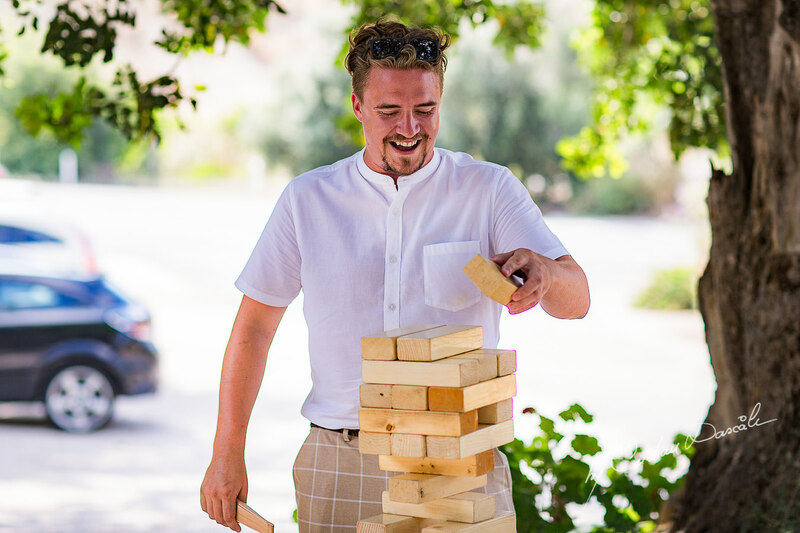 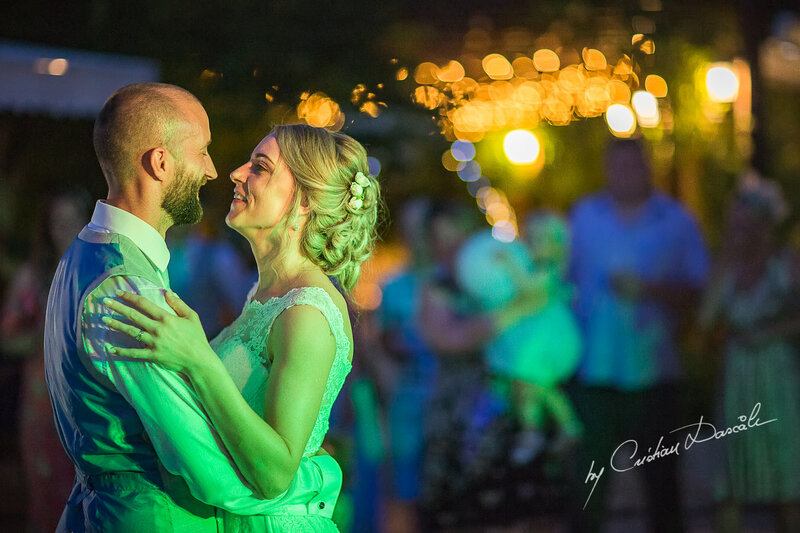 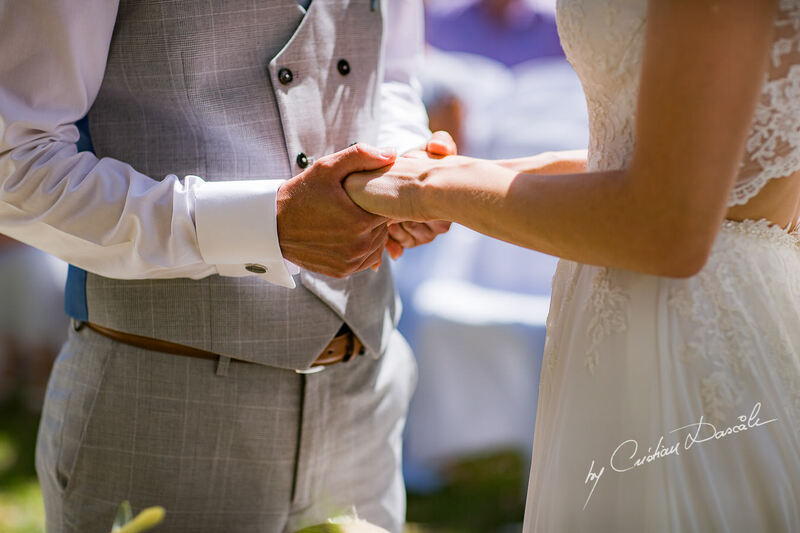 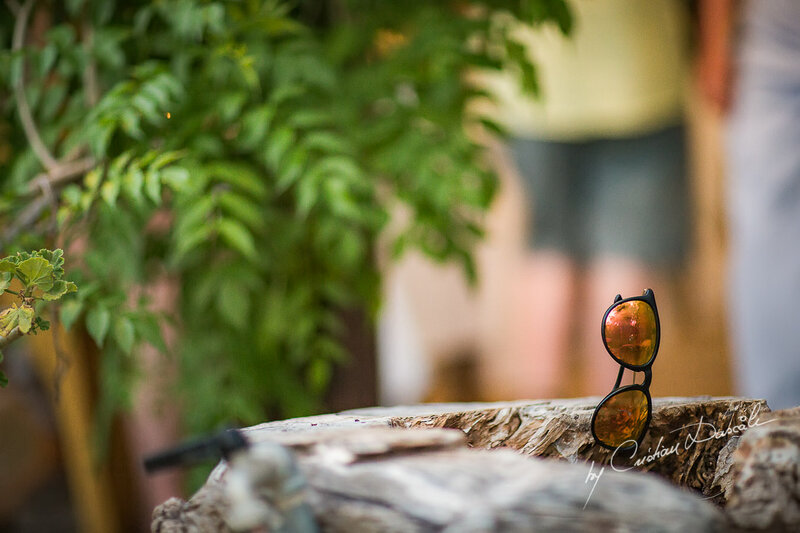 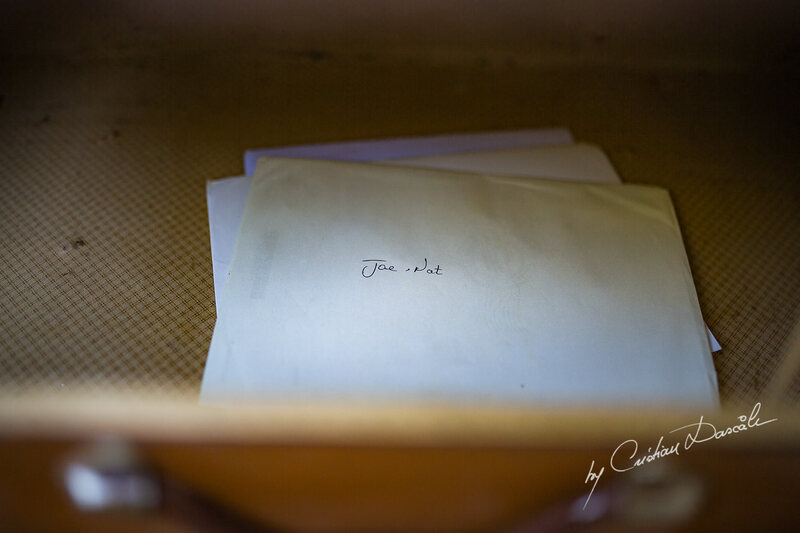 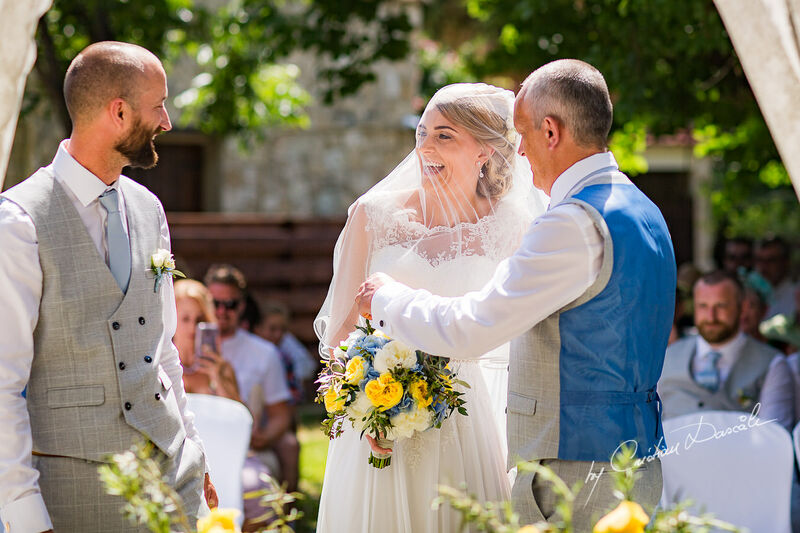 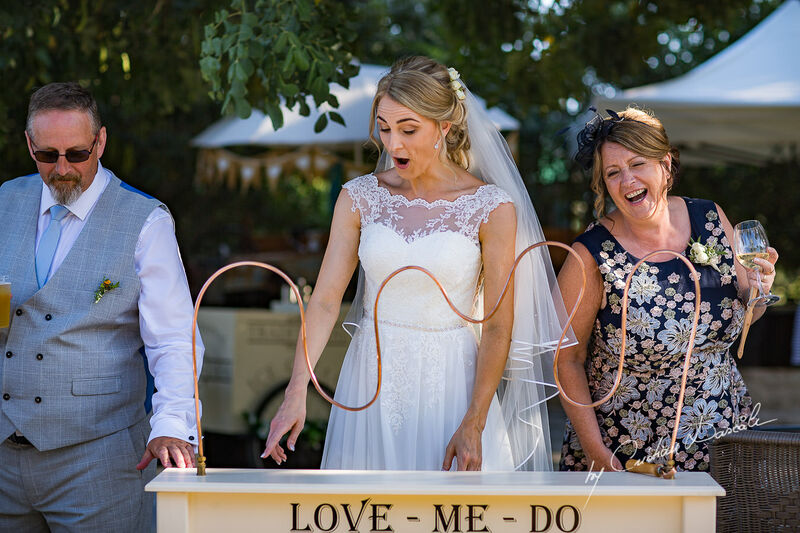 This is a truth that Natalie and Joe live to the fullest: Their outdoor Vasilias Nikoklis Inn wedding was full of merriment, including children’s games that the adults happily took part in, too. 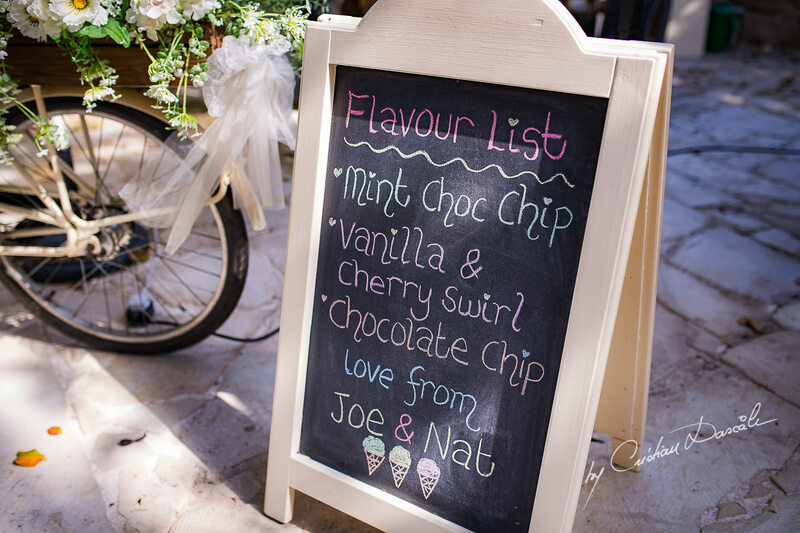 Everyone in attendance laughed under the warming glow of the sun, eating ice cream and holding hands as they took the time to remember that the simplest pleasures are often the best. 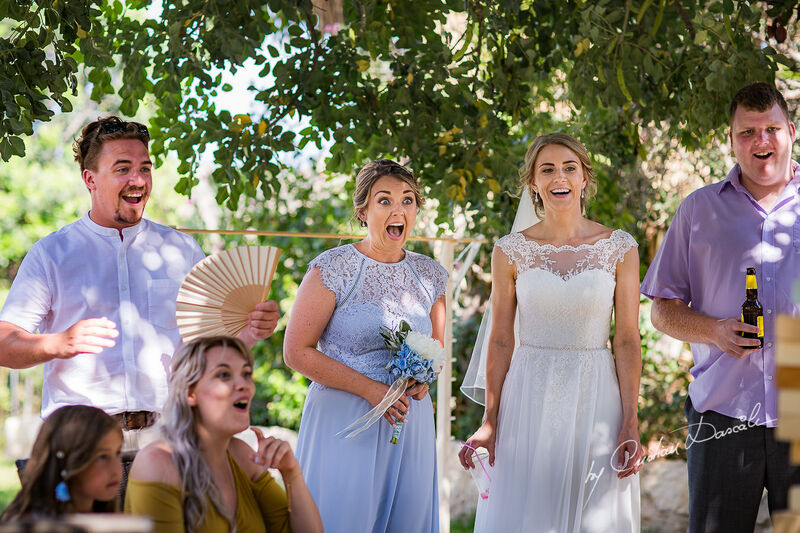 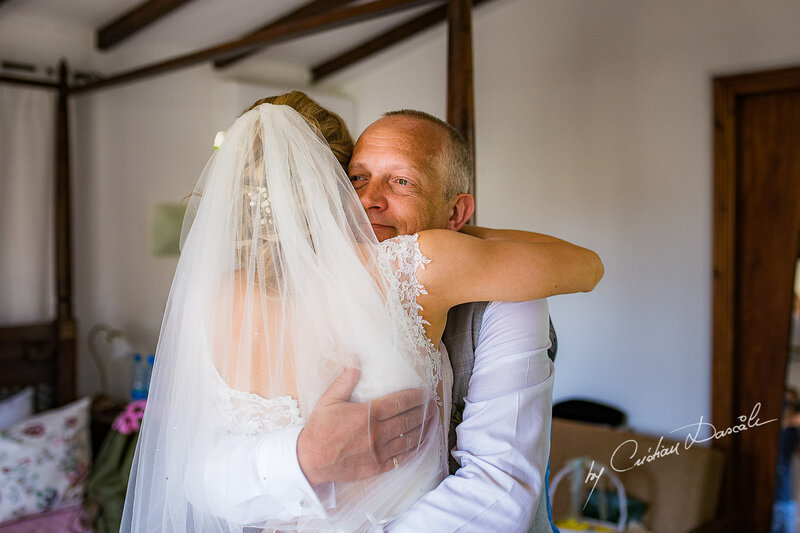 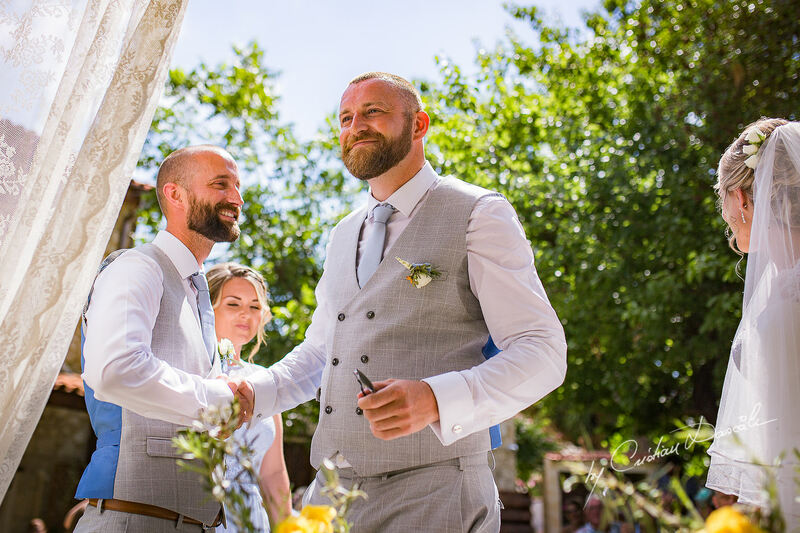 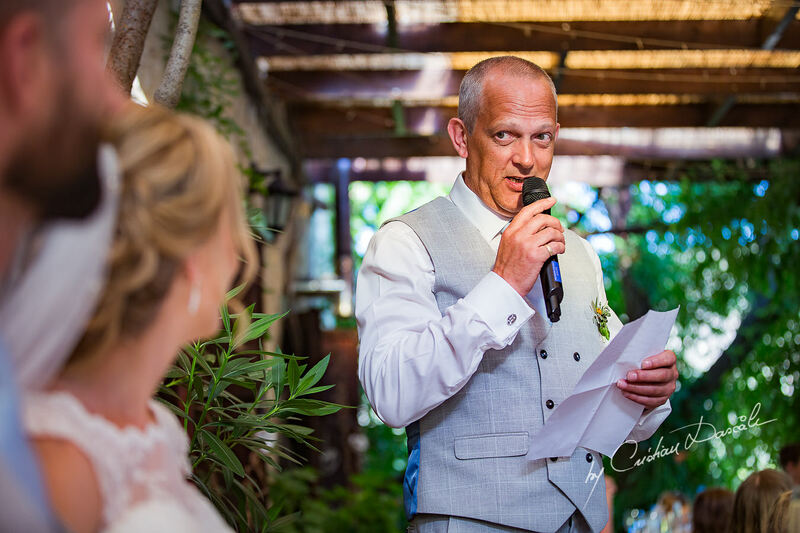 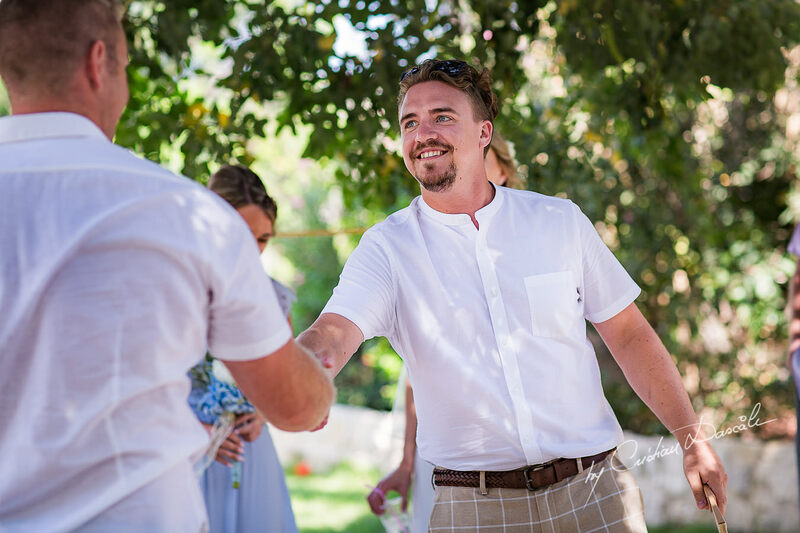 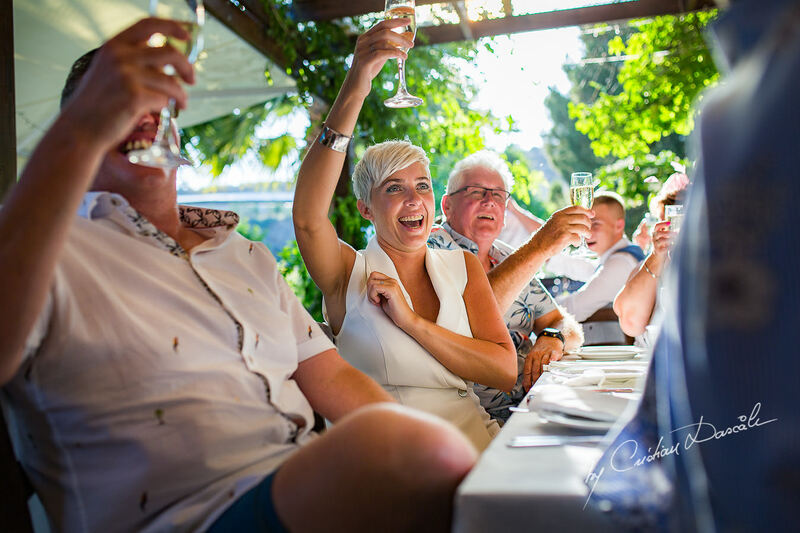 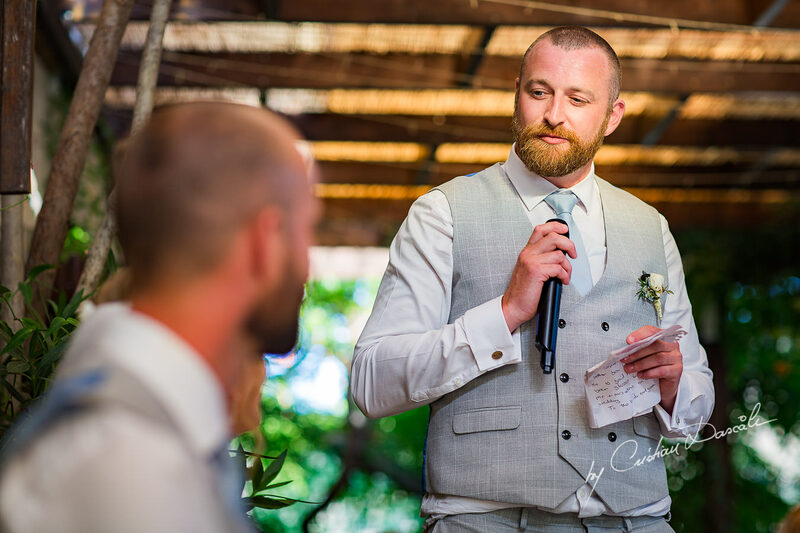 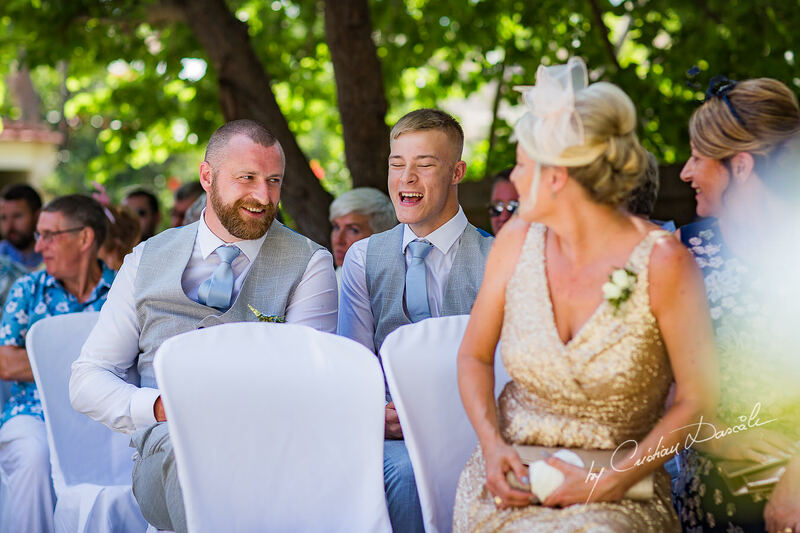 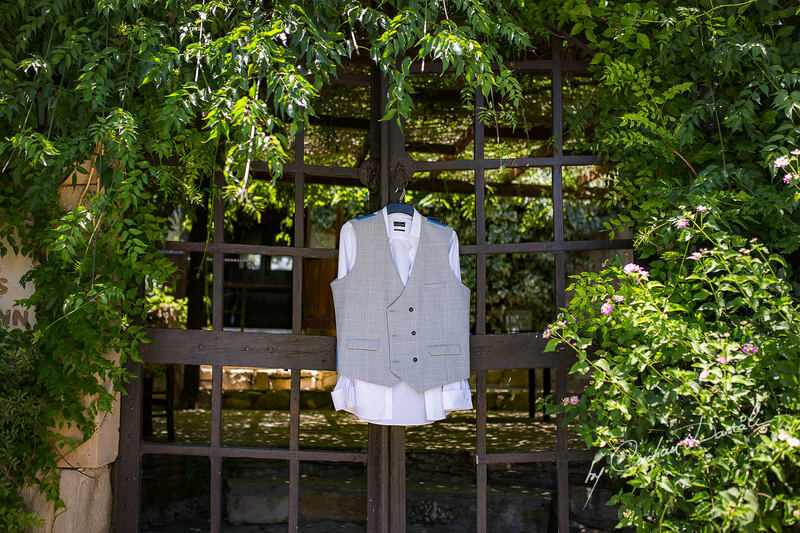 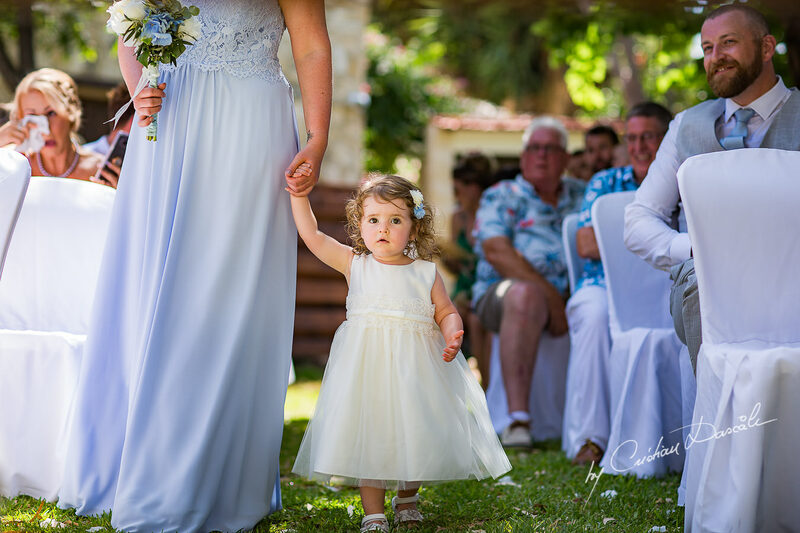 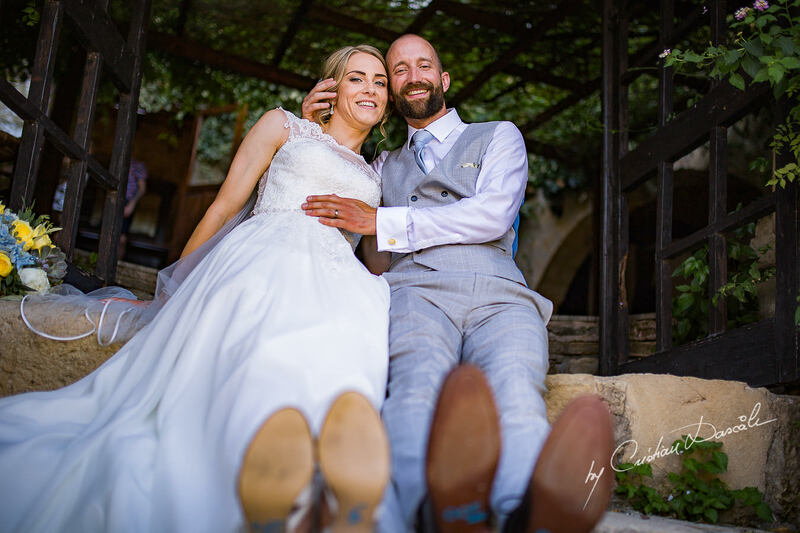 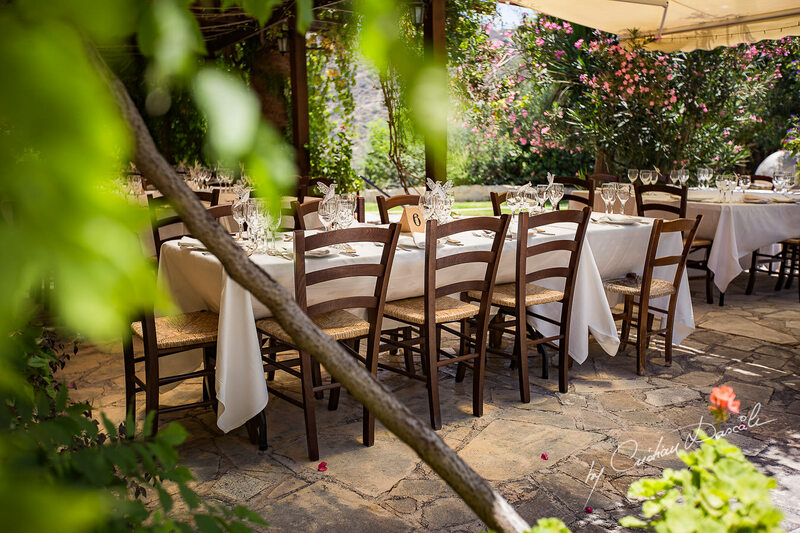 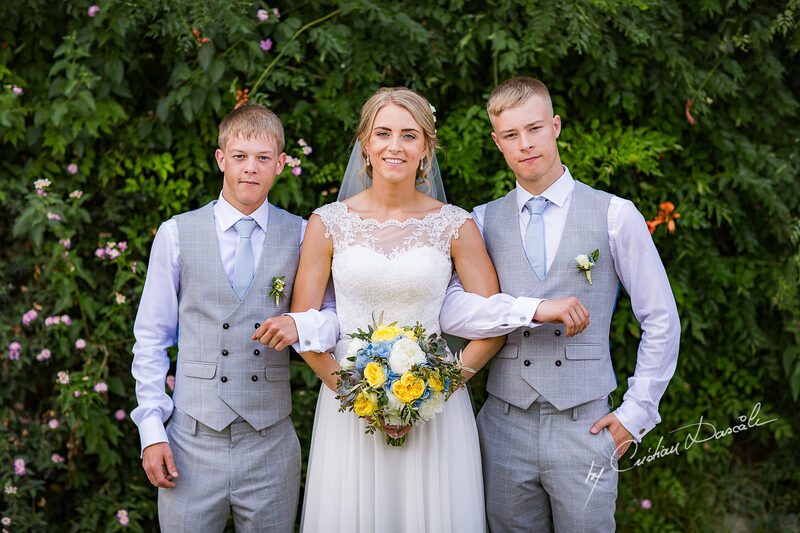 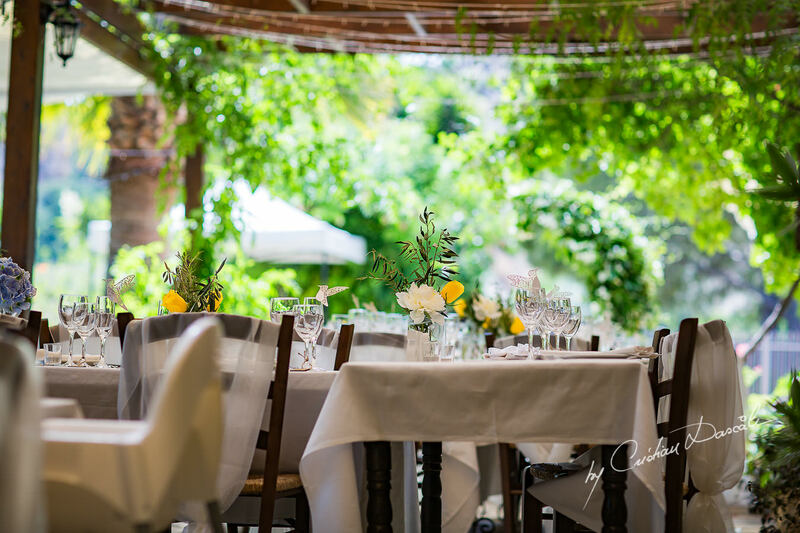 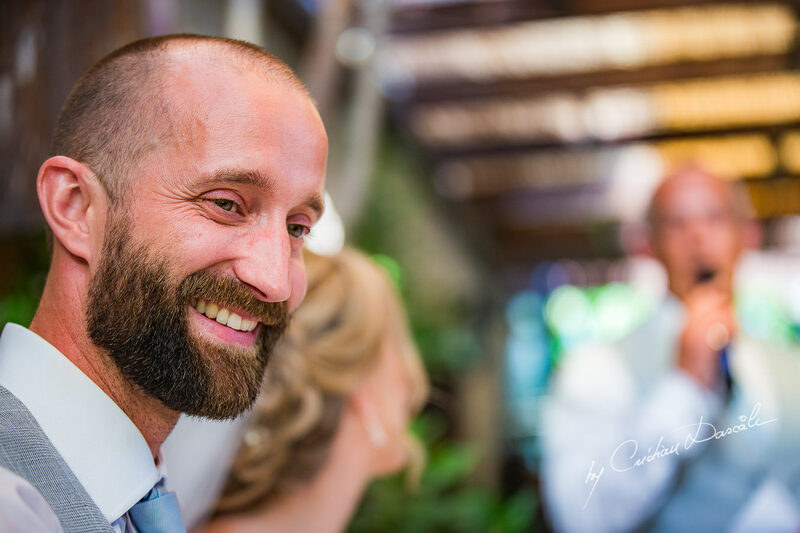 Even my relaxed wedding photography in Paphos came away all the richer for the brilliant natural light and verdant greens that framed this celebration. 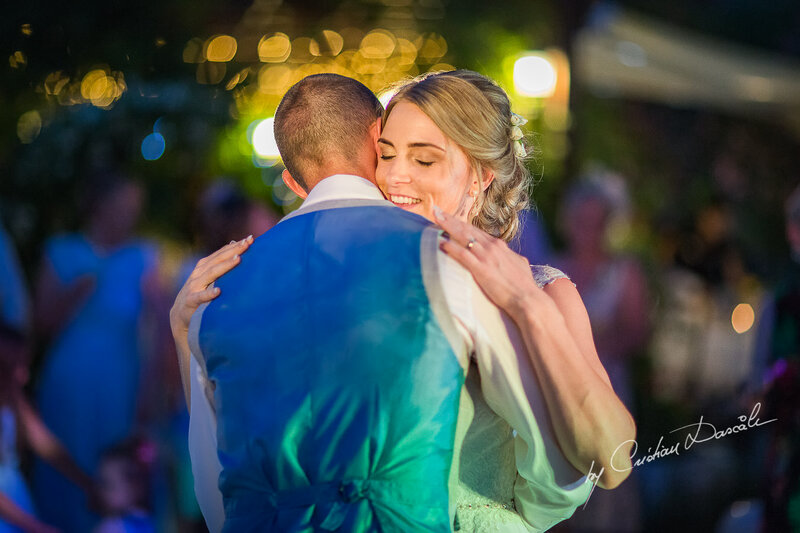 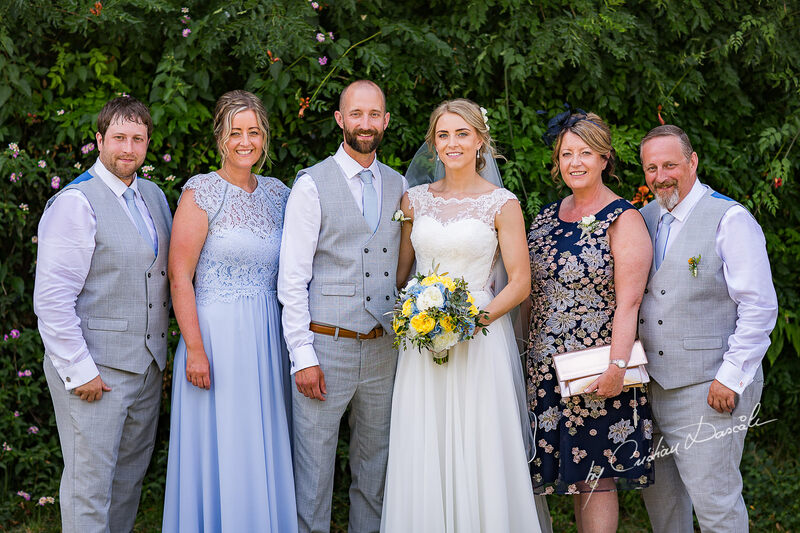 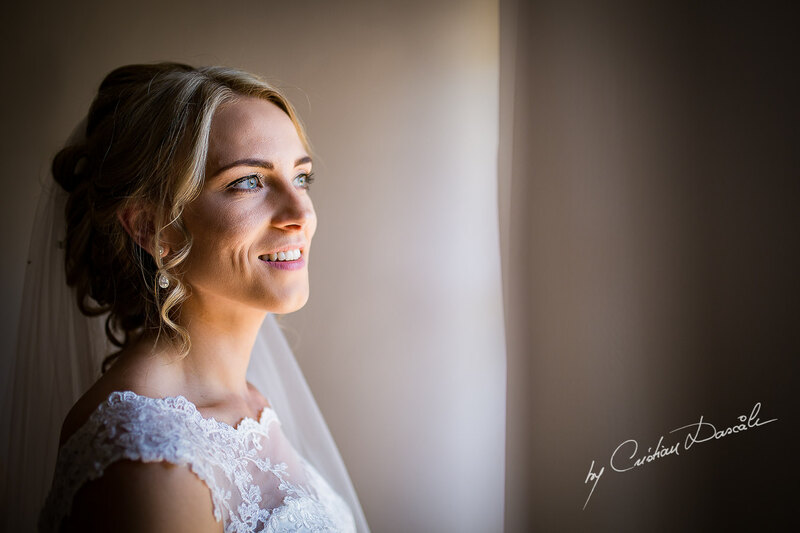 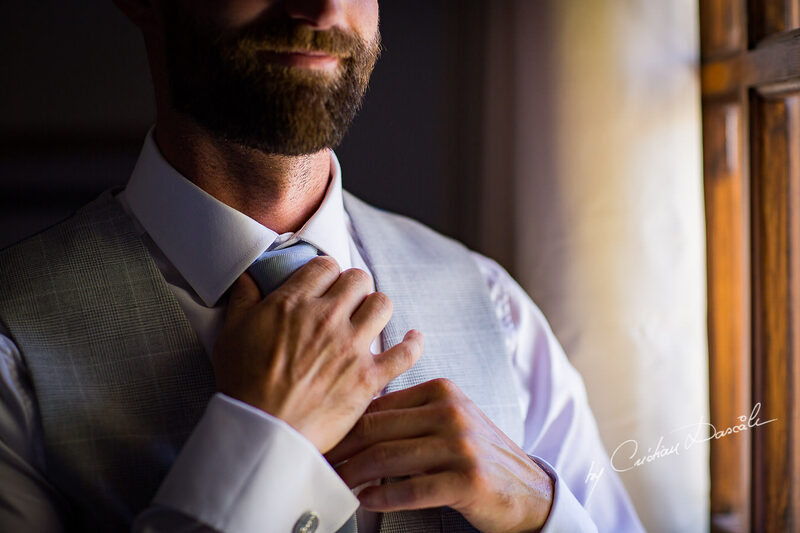 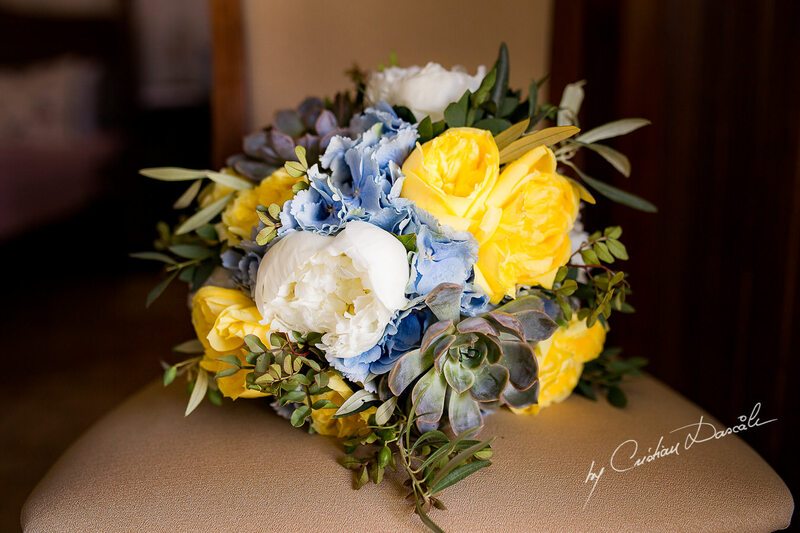 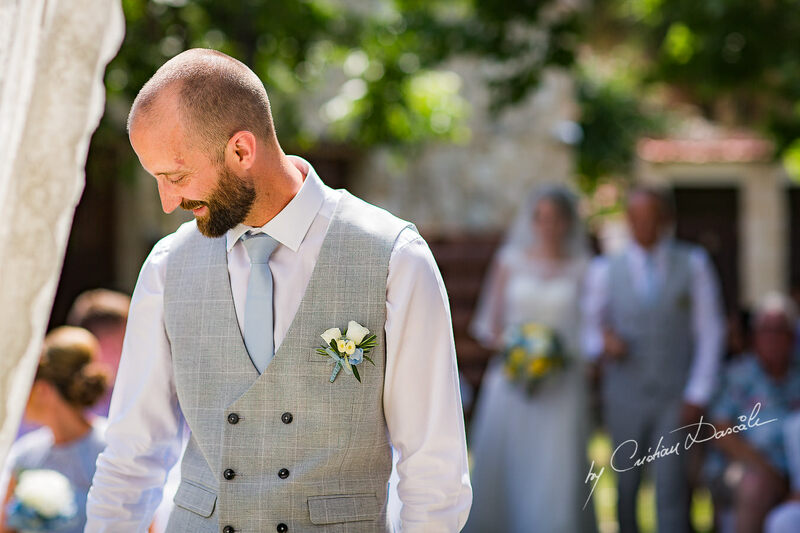 When next you feel weighed down by life’s cares, think of Natalie and Joe’s wedding and remember that love is all around you: It’s in the motion of every wave and the unfolding of every flower. 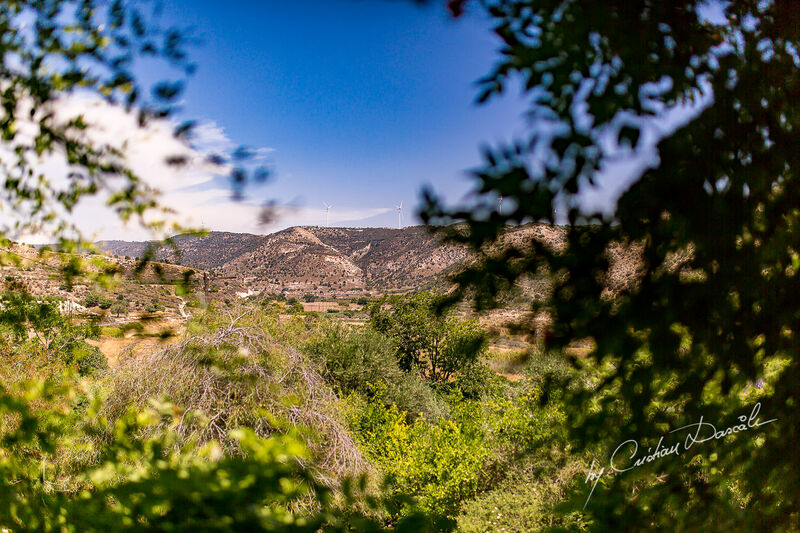 As Albert Einstein once said, if you ‘take the time to look deep into nature, you will understand everything better’—including your own heart. 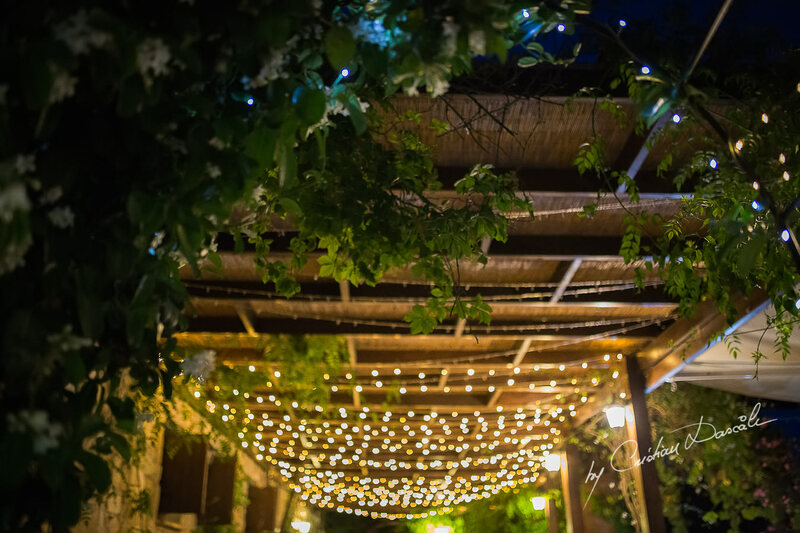 And you will know that within this world where everything is connected, no one is ever truly alone. 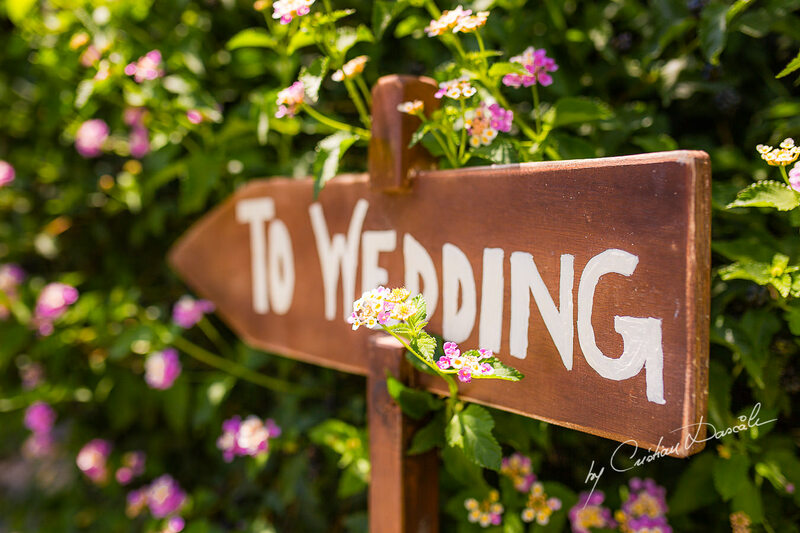 Love is waiting for us all, somewhere out in the expanse of this great garden we call home.